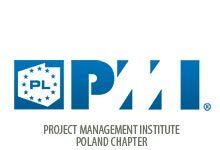 In 2003 the polish branch of Project Management Institute (PMI Warsaw, Poand Chapter) was founded. Its main goal was ambitious to develop project management in Poland both in practice and in theory, to support any activities in this topic and to broaden social consciousness of this field of science. Young Crew is a part of the International Project Management Association. It gathers the youngest project managers (under 35 years old) and these who try to begin their work in project management and want to develop dynamically. International Project Management Association is a non-profit organization founded In Vienna in 1965 by a group of managers interested in project management. The first Congress of the Association took place in 1967 also in Vienna and it gathered specialists project managers from 30 countires. Association for project management In Great Britain. Founder of International Project Management Association. The biggest project management association in Europe - it has approximately 13500 private and 300 corporate members. Polish Association for Project Management (SPMP) belongs to the federation of national organizations of International Project Management Association (IPMA). The SMPM is an organization for specialists and institutions which want to be perfect in the field of project management, project portfolio management and project programs. Project Management Institute is the biggest international association of project managers (approximately 500 000 members in 185 countires). It was founded in 1969 in Pennsylvania as an non-profit organization.